This is a great loaf for hungry people. 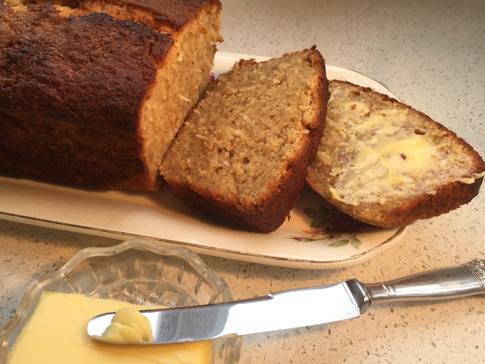 It is packed with coconut and bananas and is lovely for breakfast or afternoon tea. We love it served warm with butter. 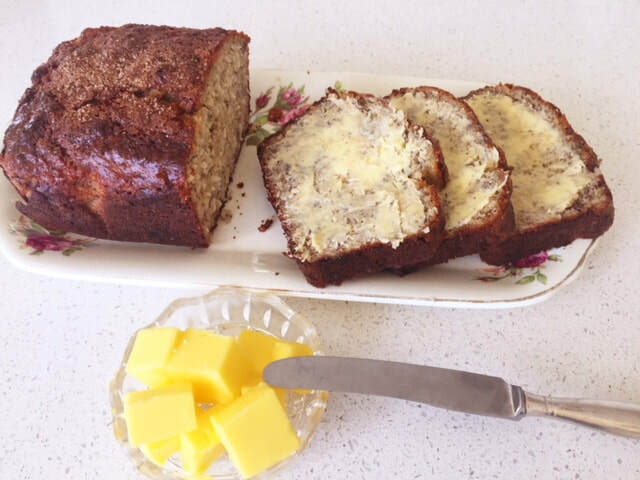 Main ingredients: Butter, brown sugar, eggs, banana, milk, flour, coconut, mixed spice. ​This is a fantastic option for those who are health conscious as it is low in both fat and sugar. It is hearty and filling. This loaf keeps very well and can be frozen. Main ingredients: Dates, butter, castor sugar, egg, flour and walnuts. This is a lovely large loaf that has a wonderful spicy flavour. It keeps well for 3-4 days or can be frozen. It is also delicious when toasted. A firm family favourite. 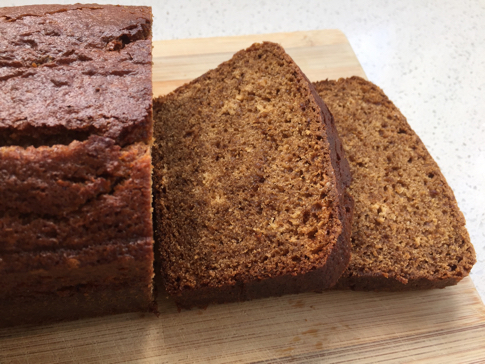 Main ingredients: Butter, golden syrup, sugar, eggs, milk, flour, ginger, cinnamon, mixed spice. This is a lovely combination of sweet and tangy. It is moist with a wonderful texture. This will be a huge hit with lemon lovers. It freezes well. Main ingredients: Butter, lemon, sugar, eggs, flour and sour cream. This is a really healthy choice. There is no butter in it, as it uses the natural oil from the coconut. It is moist and tasty, and is great when toasted . This can be made gluten free if required. Main ingredients: Flour, coconut, milk and sugar. This has a wonderful spicy flavour without being overpowering. It is lovely served sliced with butter. It keeps in the pantry for 5 days, or it can be sliced and frozen in individual zip lock bags, which you can pop into lunch boxes. Main ingredients: Dates, orange, milk, butter, brown sugar, egg, flour, cinnamon, mixed spice, ginger. This loaf uses dates as its main sweetener and has no refined sugars in it. It packs in extra goodness with grated carrot and cranberries. It can be made gluten free and /or dairy free. It keeps well and freezes well. It tastes delicious for something so healthy. 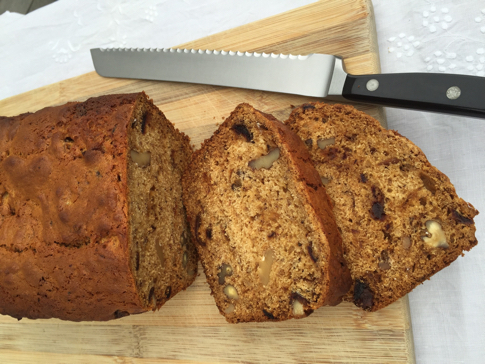 Main ingredients: Dates, butter or coconut oil, honey, carrots, banana, egg, cranberries, flour, mixed spice.